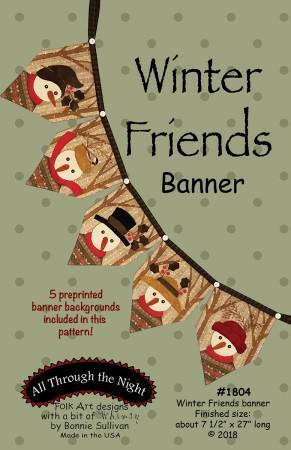 Winter Friends Snowman Banner by Bonnie Sullivan includes 5 preprinted banner backgrounds along with pattern. Finished size measures about 7.5" by 27". You may use wool for applique or purchase the separate flannel precut pre-fused pieces.